What is the best podcasting microphone? This is a question with many different answers. The best solution for you will depend on your recording environment, mic technique and even the sound of your voice. My mission is to give you the very best podcast microphone comparison with test audio created in echoey room an a sound treated studio. Then you can make an educated decision. This post will be constantly updated as new microphones come out and I get to test different microphones for podcasting. 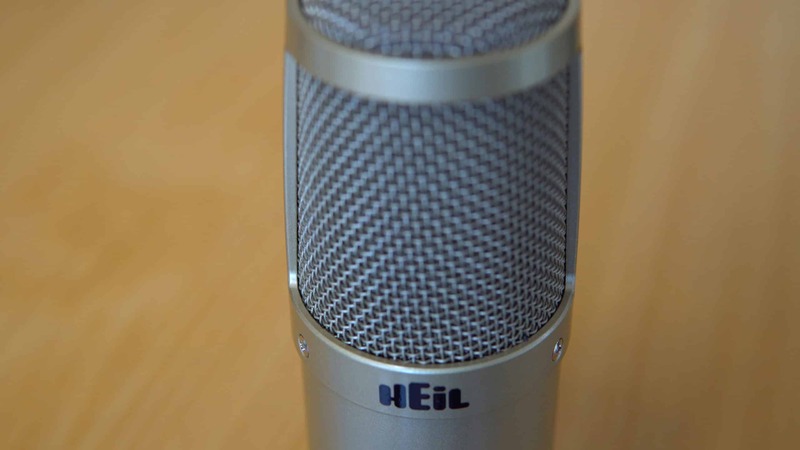 I’ll compare some of the top podcasting microphones from brands like Heil and Blue. 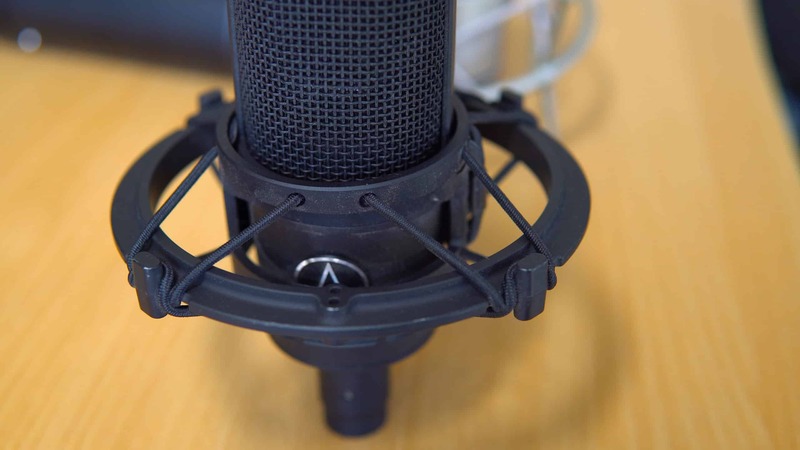 Some of the lesser known mics in the podcasting space such as sE, Audio Technica and Neumann. Click to listen to each sample, read my thoughts in the conclusion below and decide for yourself on the best podcasting microphone. 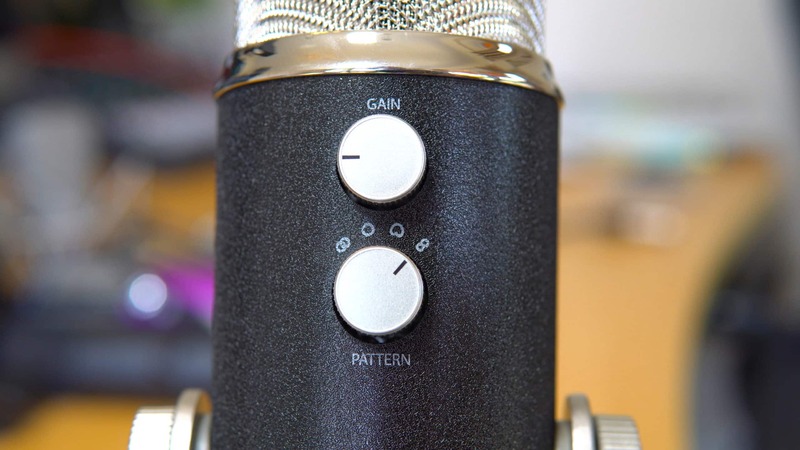 What Kind of Microphone is Best for Podcasting? This will depend on your recording space and your own personal taste in sound. Below is the list of all available options for you to look at and find your circumstances. 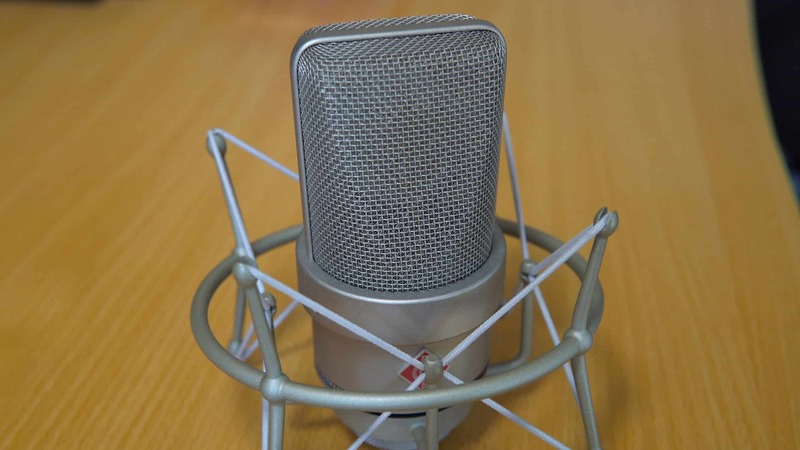 Dynamic Microphones for Podcasting – Generally dynamic microphones need more gain and are lower quality than condenser microphones but they reject echo and background noise really well. Condenser Microphones for Podcasting – Condenser microphones sound fantastic but you need a good recording space otherwise they are going to sound echoey and awful. You’ll also need to supply 48V phantom power to a condenser microphone which can be done via an audio interface. 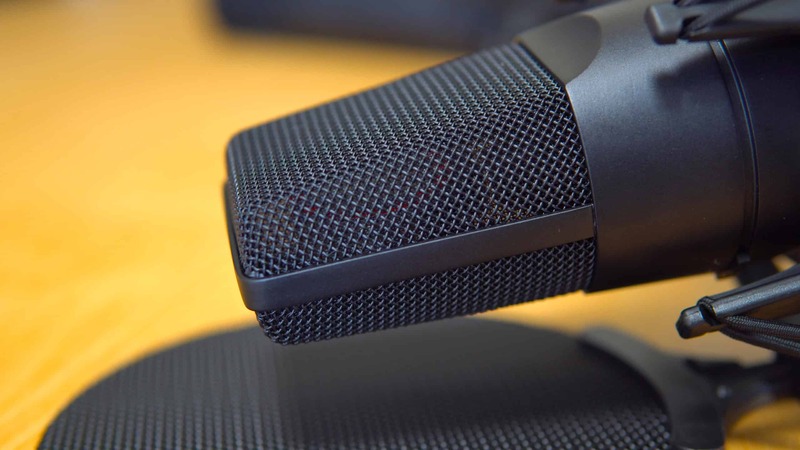 USB Microphones for Podcasting – USB is not a type of microphone but the connector you use to plug it into your computer. You can get USB dynamic or USB condenser mics but as I’ve only featured one USB microphone in this list I’ve given it a whole category title. 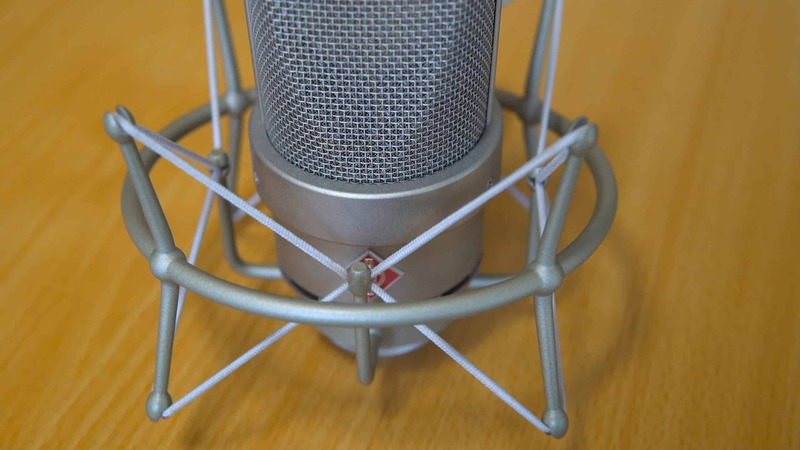 – Ribbon Microphones for Podcasting – Ribbon microphones are extremely sensitive and delicate so not decent for home use or carrying around to podcasting conferences. – Shotgun Microphones for Podcasting – Shotgun mics have a very small pick up area that’s why close mic promo voiceovers like to use them. They’re also good for isolating musical instruments in a performance. Do I Need an Audio Interface for Podcasting? Before diving into the microphone sound checks let me answer this question I get asked often. 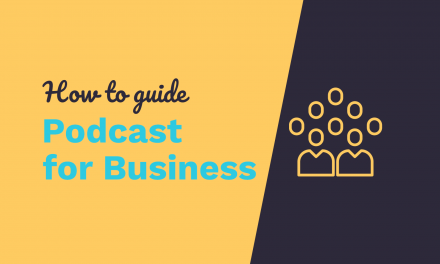 Do you need a microphone preamp for podcasting? Yes! As you’ll see, when I start talking about USB microphones below, XLR connection is my recommended microphone connection method. You can only connect XLR using an audio interface like the Focusrite Scarlett 2i2. Get an audio interface and save the heartache of discovering your USB microphone just doesn’t sound as good as XLR. An audio interface also gives you expansion opportunities as you can connect more than one microphone and record onto different tracks in your audio editing software. 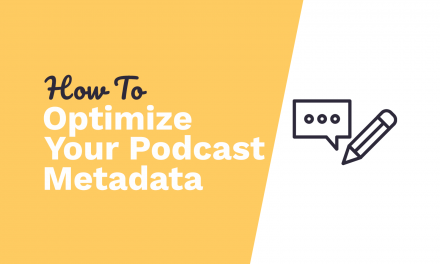 This makes it a no brainer for podcasts planning on more than one host or multiple guests. 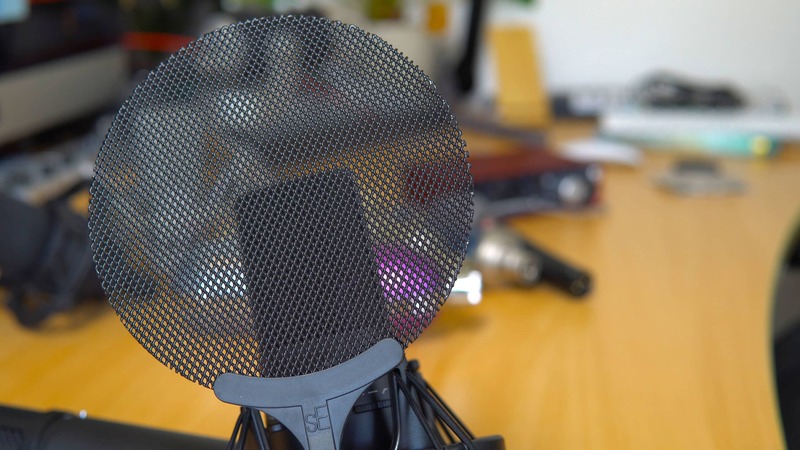 Dynamic mics are great for podcasting! The reason they get so much love in the podcasting world is the fact they reject most of the noise around them and focus on the voice going into the top of them. They won’t usually sound quite as good as a condenser microphone would but, if your recording room is less than ideal, dynamic is the way to go. 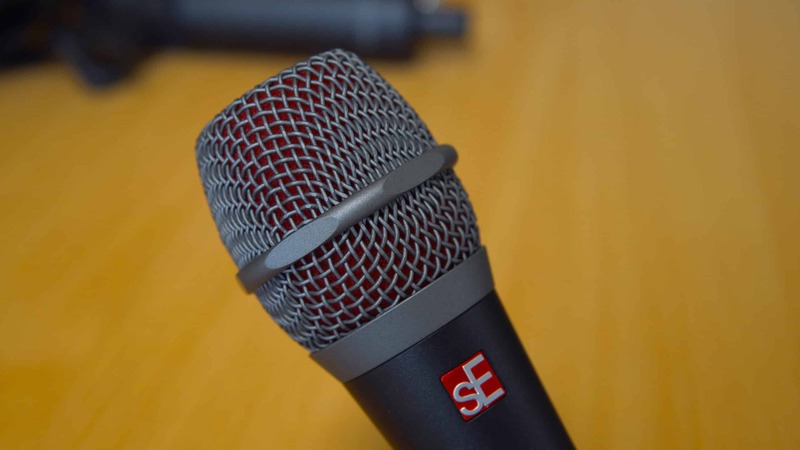 The sE Electronics is a solid contender for best podcasting microphone under $100. It’ll help you to sound great no matter what room you’re in and is built from high quality metal that will last. The V7 and the even cheaper V3 model are traditionally soild live music vocal mics. Configured with a supercardiod pattern traditionally used to stop mic feedback occurring in live situations. The sE V7 is also great at rejecting room echo and audio from guests sitting opposite you. 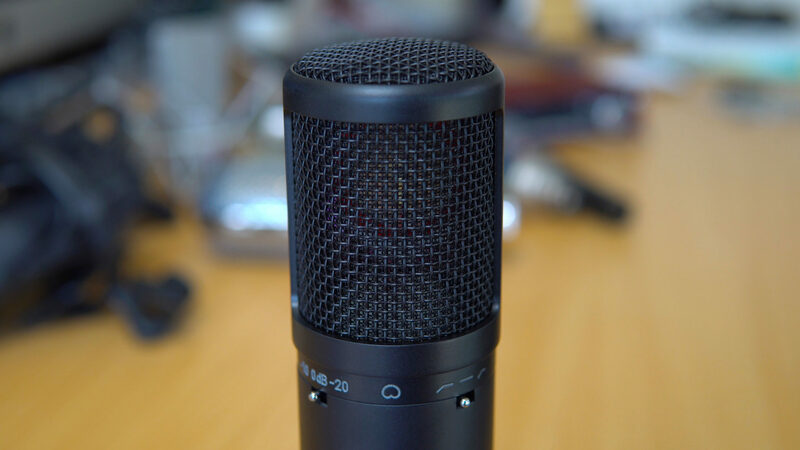 The build on the PR 40 is solid and there is no debate this looks like a solid podcasting microphone. 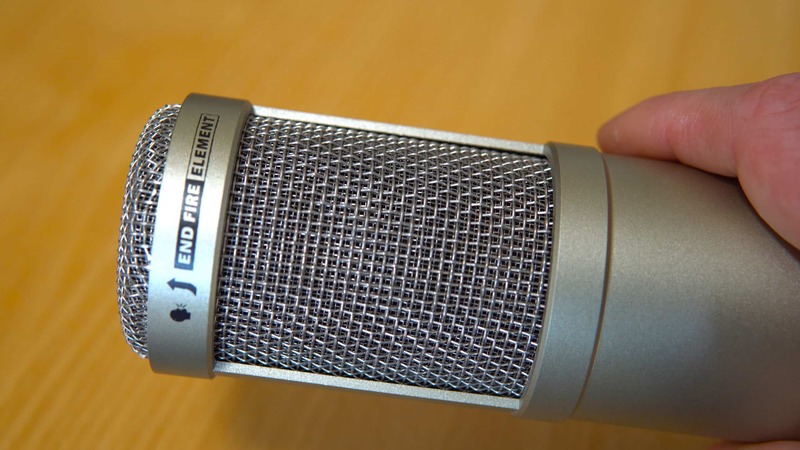 Heil Sound are based in the USA and they design and manufacture their microphones there too. The PR 40 is a flagship mic from Heil and comes in black, silver and champagne. It’s a soild dynamic mic with front-fire element (meaning you talk down the top of it not into the side of it). The sound quality is great and rear noise rejection is superb. If you’re considering this microphone you should get the PL2T Boom Arm and PRSM Shock Mount with it too. The PR 30 from Heil Sound had a slightly slimmer head but still the rugged build quality you’d expect. I found that I preferred the PR 30 sound against the Heil PR40 but this is my personal feeling. It does come with a hum bucking coil included which the PR 40 does not have meaning the mic should run virtually noise free even if it’s close to a computer monitor or other electrical equipment. You get the same rear rejection of audio and all round this is a great podcast microphone choice with hardly any sibilance. 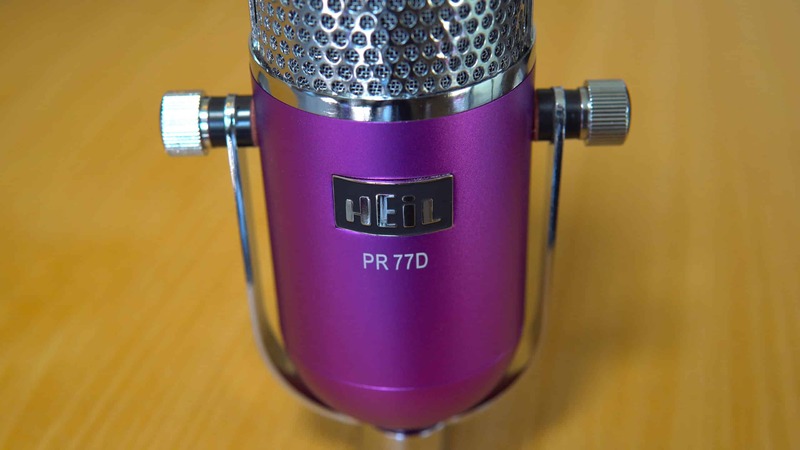 The new Heil PR77D comes in two beautiful shades of purple or black. It is, as you’d expect, a dynamic microphone with a great sound. You’d expect the good sound as the casing holds exactly the same element as can be found in the Heil PR 40. If you like everything about the Heil PR 40 but want a cool retro look the PR 77D is the podcast mic for you. It has a switch on the back for Music or Voice mode. The Voice mode appears to roll off the bass (according to Heil it takes out anything below 120 Hz at -6dB per octave) and Music mode lets the full audio spectrum through (60 Hz to 16 kHz). Unlike the other mics you need to mount this on a desk stand like the CB-1 PTT which comes with a cough switch included. This microphone is perfect for video podcasting as the mic will look good on screen. Ugh! 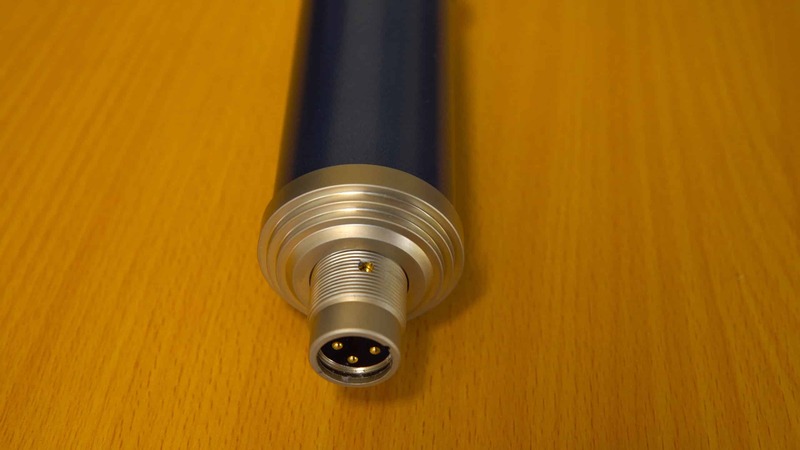 Please try and avoid a USB microphone at all costs they simply don’t sound as good as there XLR counterparts. Yes, you can plug the microphone direct into your computer but it’s doing two jobs – being a microphone and doing the A-D conversion. Just grab a quality audio interface (like the Focusrite Scarlett 2i2) and plug an XLR mic in. If you must buy a USB microphone make sure it at least has dual USB and XLR options so you can compare. 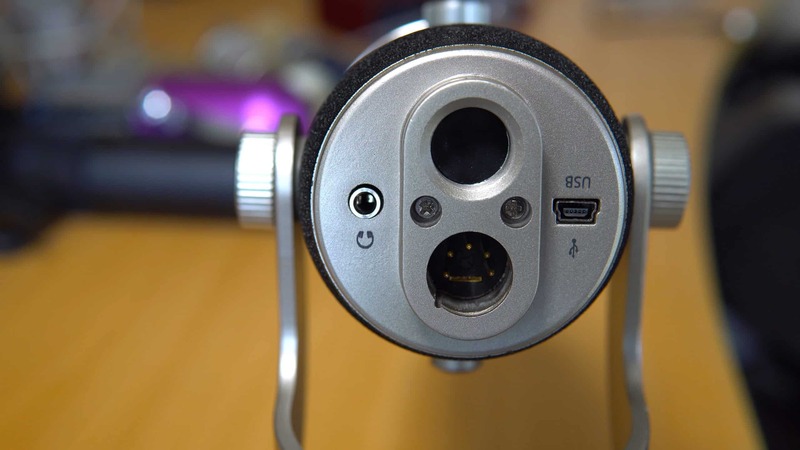 I tested one USB mic but, fortunately, it had an XLR connection too. 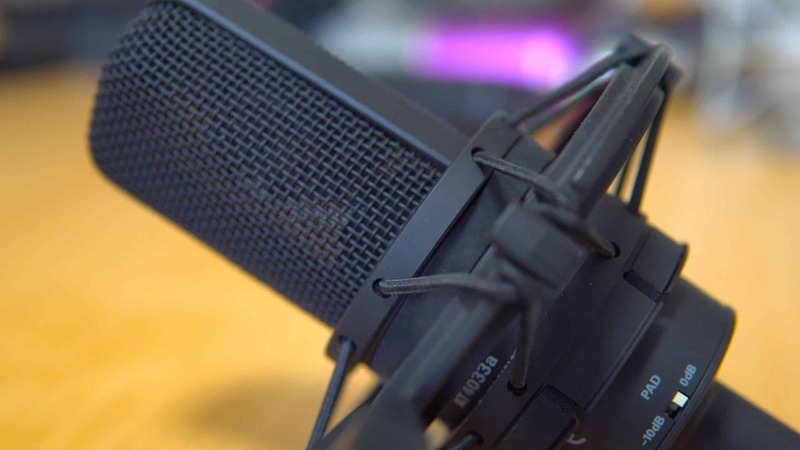 The Blue Yeti Pro does have a USB connection but I have chosen it as you can also use the 5-pin XLR connection on the back of the mic. This connects via traditional XLR cable (included with the mic) to your audio interface. It’s a condenser microphone and has multiple pick up patterns including stereo, omnidirectional (all around), cardioid (best for podcasting) and bidirectional (two guests sitting either side of the mic). 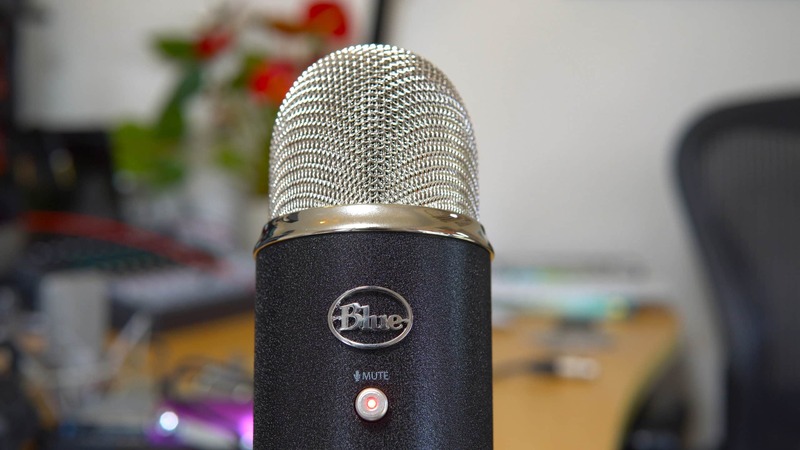 The Blue Yeti microphone is so popular in the YouTube, Gaming, webinar and podcasting world and for good reason. It’s one of the best podcasting microphones under $200 and you can pick it up almost anywhere. 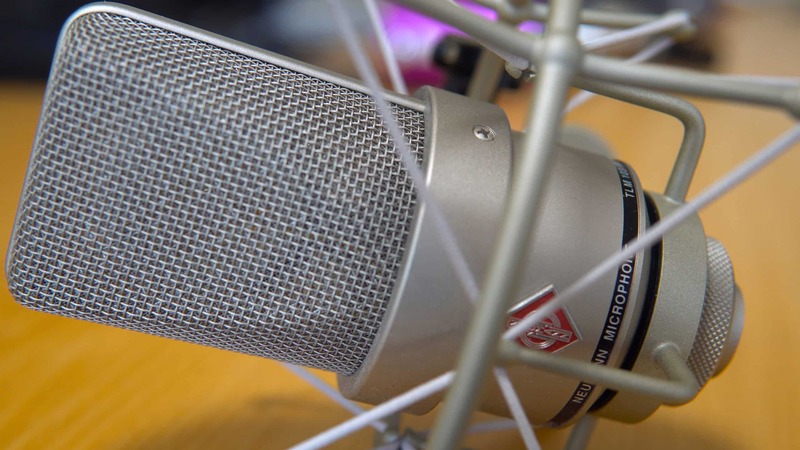 In addition to the XLR connectivity the Blue Yeti Pro can record up to 192 kHz/24-bit vs. 48 kHz/24-bit of the Yeti Pro. There are other minor engineering differences but overall the Blue Yeti Pro is a slightly improved Blue Yeti. If you’re podcasting you’ll only really need 48 kHz/24-bit as an higher is overkill and best for music recording. The XLR connection on the Blue Yeti Pro, however, makes it a winner in my book. 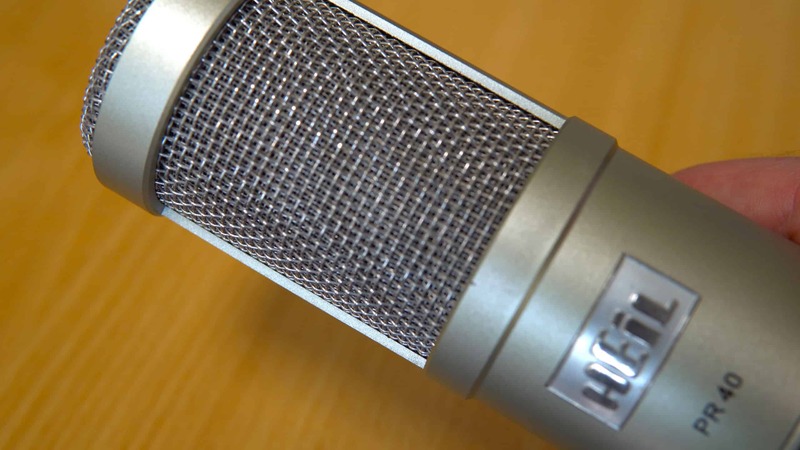 Condenser microphones are found in all the big radio studios and music production recording studios because they sound great. They’re a little more delicate than dynamic microphones and require 48V phantom power to operate. Make sure you have an audio interface, like the Focusrite Scarlett 2i2, with 48V phantom power to ensure your microphone will work. You’ll also need to have a well sound treated (not necessarily sound proofed) room with acoustic foam or wall tiles that stop echo and bounce back otherwise these mics will end up sounding worse than their dynamic cousins. Now, with condensers, we take a huge leap in quality compared to dynamic microphones. 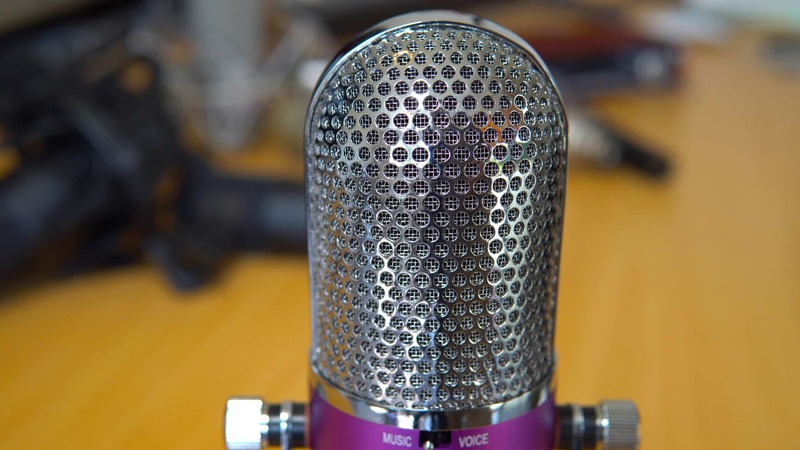 It’s modelled on the Blue Bottle microphone which comes in at nearly $4000! There is a high pass filter switch (cuts of bass rumble and makes your voice sound clear) and -20 dB pad switch (this will reduce the volume of the mic if it’s too loud for your audio interface). This microphone wins at sensitivity to higher end frequencies meaning your voice will sound crisp and clear. Designed and marketed originally at musicians the Blue Bluebird SL is certainly one of the best podcasting microphones under $300 too if you have the room for it. This microphone came as part of the sE Electronics X1 S Studio Bundle. If you’re looking for a package that contains everything a podcaster could need all in one this is for you. In addition to a nice looking black condenser mic you get a pop screen, shock mount, XLR cable and the sE trademark Reflexion Filter. The Reflexion Filter X is great for rejecting room echo so you can have the best of both worlds – a condenser mic in a room with poor sound treatment. 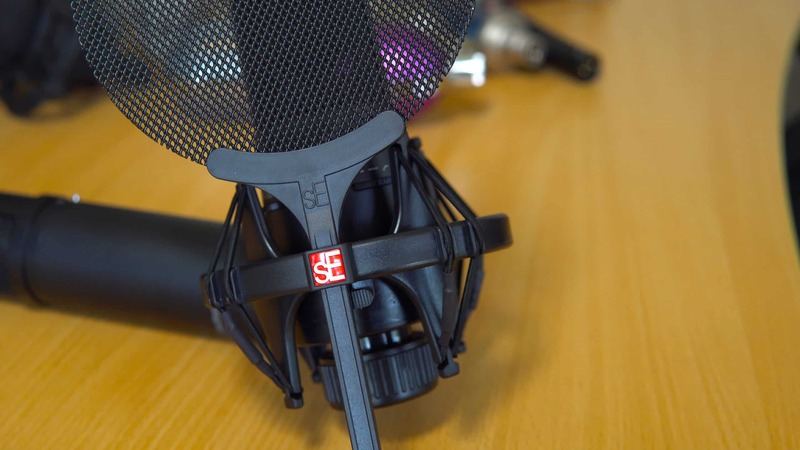 You could purchase and use the Reflexion Filter X with any other condenser mic too. It really makes a difference to the sound especially in an echoey room. 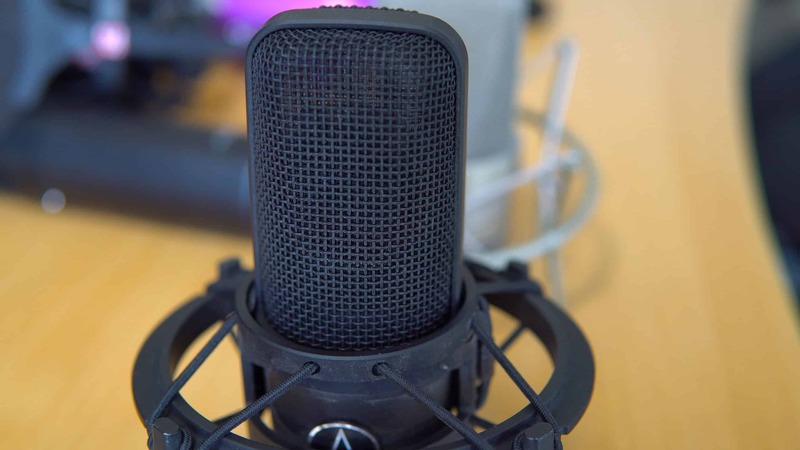 The sE 1 X microphone is a nice little condenser podcasting microphone usually under $200 but out of this list, personally, I believe there are better options to choose from. 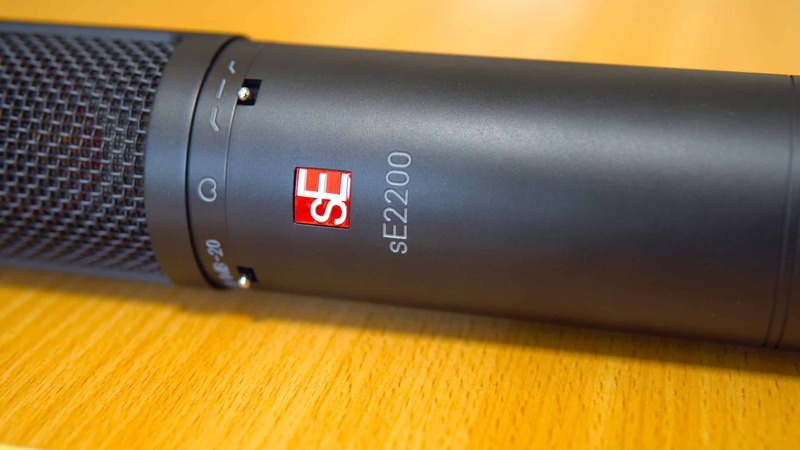 This is one of the flagship condenser microphones from China based sE Electronics. It sounds really good if not a little crisp and top end biased. If that’s your style you are going to love this microphone! It’s big, sturdy and comes in at under $300 but you’ll need to add on to your budget to get a shock mount, pop filter and possibly a Reflexion Filter. 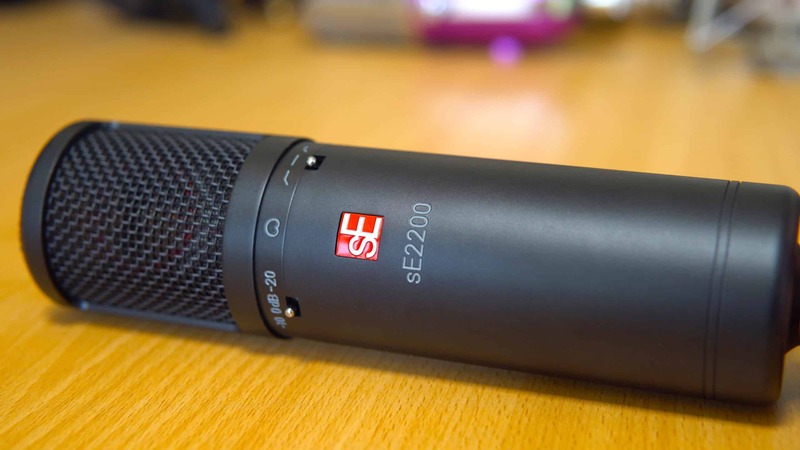 There’s no doubt that the sE2200 produces a great sound that is loved by voiceover artists, audio engineers and is also perfect as a high quality podcast microphone. The Audio-Technica AT4033a has been in my studio for years before I decided to upgrade to a Neumann TLM 103 (more than double the price). This, again, is a high end podcasting microphone that is used and loved at radio stations around the world. Made with precision in Japan the AT4033a will help you to sound great and if you pick up the AT4033a/sm version you’ll even get a shock mount included. If you’re looking for the best podcast microphone under $500 this could be it! Engineered and designed in Berlin, Germany you’ll find Neumann microphones in use all around the world. Vocalists love the crisp and clear Neumann sound which is not overly sibilant. 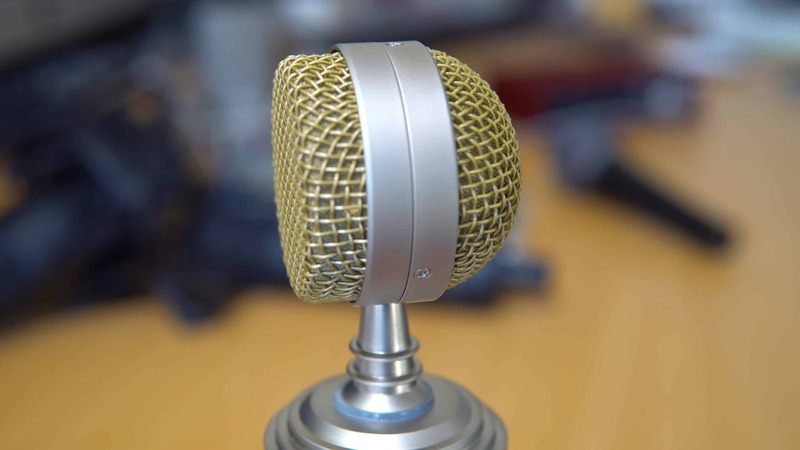 I adore this microphone and put it firmly in the category of best podcasting microphone under $1000 with one caveat. Do not shell out cash on a Neumann microphone without a professionally sound treated room otherwise it’ll end up sounding worse that a lower budget microphone in this list. If you have the correct room there is no better microphone… except maybe the Neumann U87 at triple the price you’ll have hands down the best sounding podcast microphone out there! So what do I think about all these mics? If you’re just getting started, at under $100, the sE Electronics V7 will work in almost any recording environment and is a great beginner podcasting microphone. 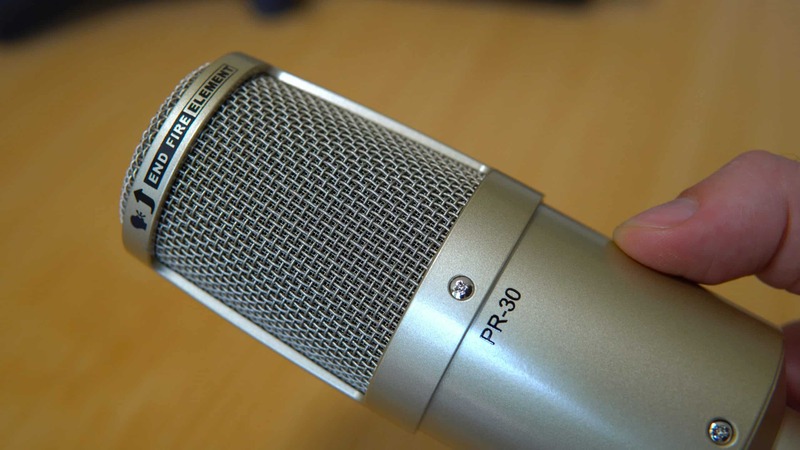 A mid-range and popular microphone, if you’re serious about podcasting, is the Heil PR 40 but be sure to compare with the Heil PR 30 to see which sound you prefer. 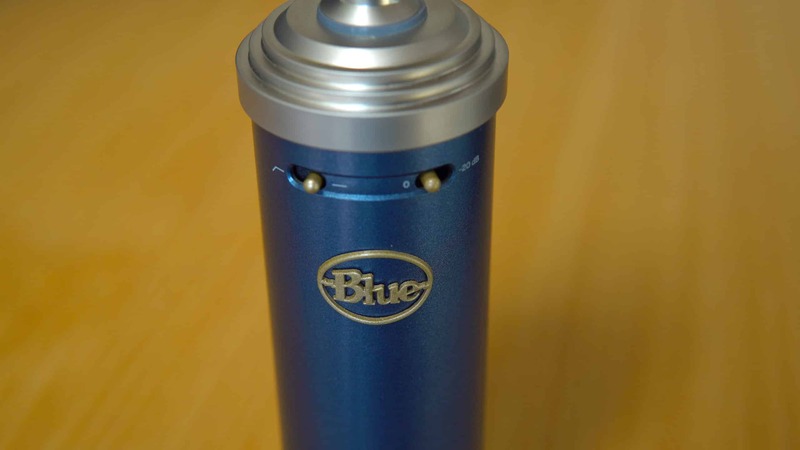 Finally, at the high end Blue produce a wonderful condenser microphone – the Blue Bluebird SL – which you’ll need a sound treated room for it to sound its best. The Neumann TLM 103 is my current mic and is a respected vocal mic in many voiceover and recording studios too. Again, you’ll need a well sound treated room for any Neumann microphone to sound good. 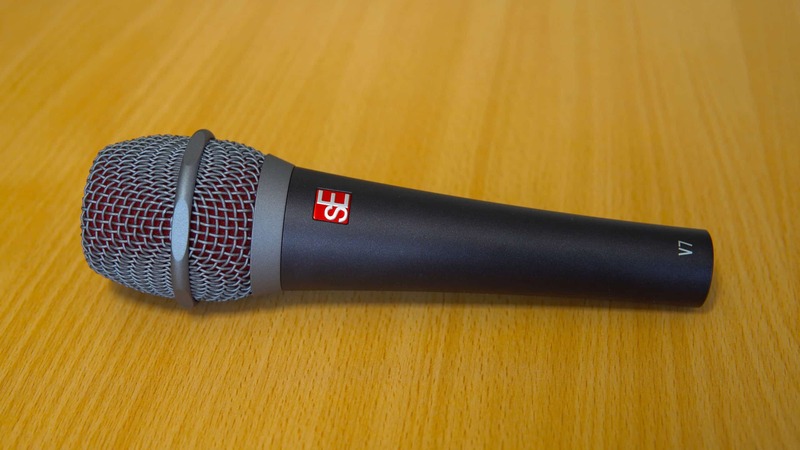 sE Electronics V7 – you really can’t go wrong at under $100 for this dynamic microphone. If you wanted to go really budget then the sE Electronics V3 is even cheaper but I think the quality suffers so the V7 is a safe bet for budget conscious podcasters. 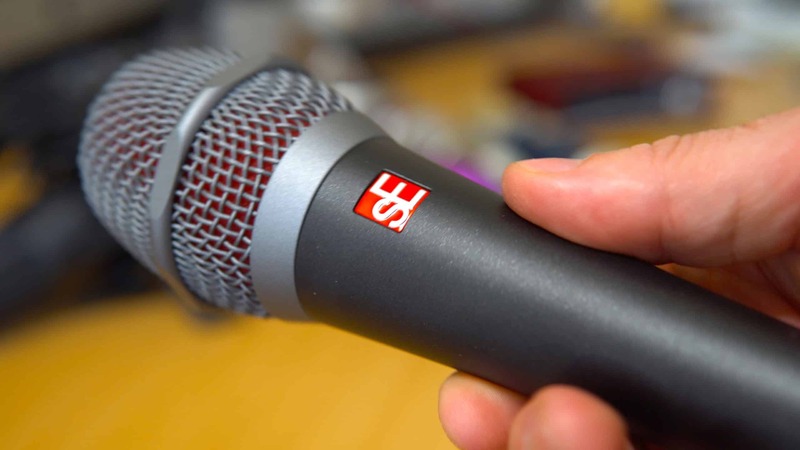 The sE Electronics V7 wins again with a wonderful supercardioid pickup pattern that provides great noise rejection from anywhere but the top of the mic. You’ll hardly hear any room noise, echo or the even the neighbours next door with this mic. If you haven’t got a great recording room this is your mic. Heil PR 40 or Heil PR 77D (with the retro look and same PR 40 element included). 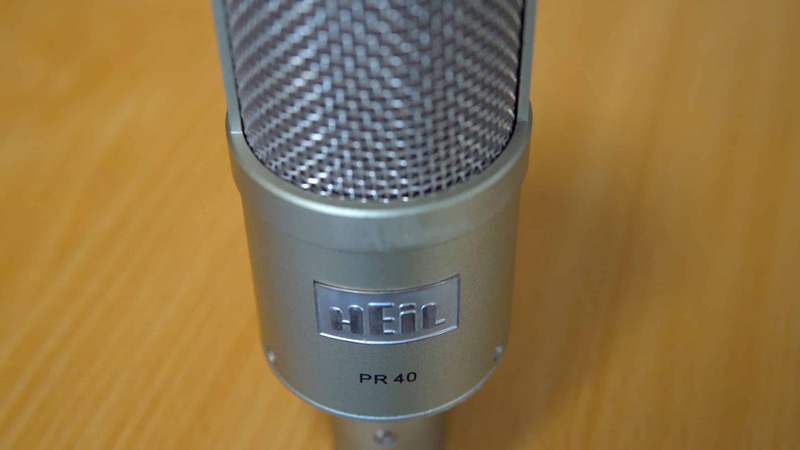 The Heil PR 40 is used by many of today’s top podcasters including Leo Laporte, Pat Flynn, Cliff Ravenscraft and John Lee Dumas. You can join them and be safe in the knowledge this broadcast looking microphone will pick up only your voice and reject noise from other directions. The Heil PR 77D had the same stuff inside as a PR 40 but looks super cool and has a “voice” mode that rolls off plenty of bass so you end up sounding like a public radio announcer! The Blue Yeti Pro with 4 different recording patterns, 3 premium condenser capsules, volume control, headphone input, XLR and USB connectors has it all. If you’re going to be podcasting, singing, playing the guitar and interviewing a guest with one mic between you this is your microphone! It’s even got a mute button for those moments you need to cough or clear your throat. The Blue Yeti Pro even records at up to 192kHz via USB. If that wasn’t enough it’s also really easy to get hold of in the US and even in the UK with stores like Argos and Currys stocking Blue microphones. If you have a sound treated room it’s a tie between the Blue Bluebird SL and Neumann TLM 103. I found it hard to hear a difference and perhaps even slightly preferred the Blue Bluebird SL to my Neumann TLM 103. The Blue mic is a third of the price of the Neumann too! Over to you! Which microphone do you prefer for podcasting and why? Post in the comments with your views and if you’re a microphone manufacturer get in touch to ask how you can get your mic tested and reviewed by the team at MRC. 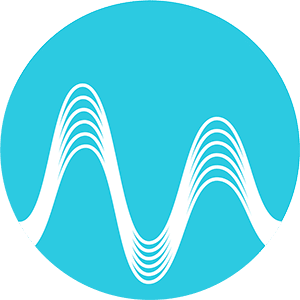 Download high quality .wav file samples of all the microphones we tested. 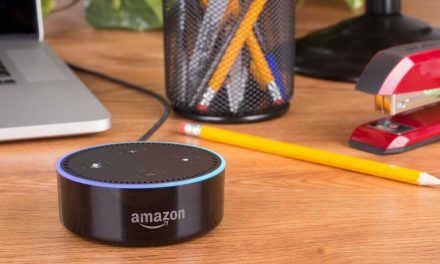 Alexa Flash Briefings – Podcasters Get Your Skills Out There! Fantastic info – amazingly helpful! Thank you Ed! Glad you found it helpful. 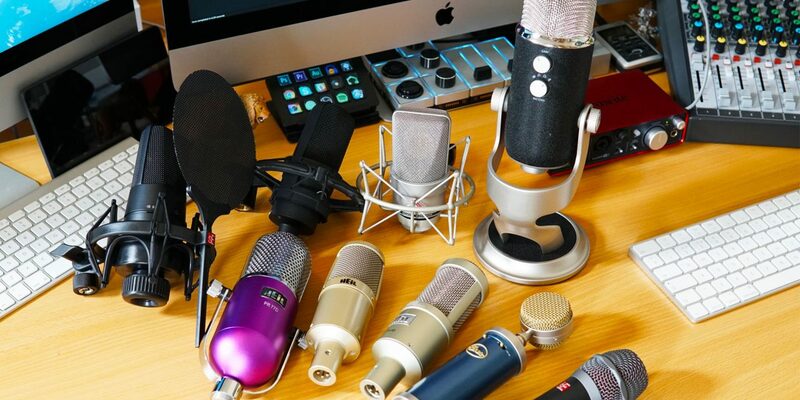 Which podcasting mic do you use? I will tell the Neumann TLM 103 it’s my choice because the sound it’s so nice and the quality of the brand talks by it self. Indeed Juan! TLM is a great mic! Totally agree, Juan. You can’t beat the Neumann TLM 103 on the high-end. I remember the leap from AT4033a to TLM 103. The difference in my studio headphones was noticeable. Thank you Ivan! Glad you like it and yes – definitely build in mics are terrible. I agree! 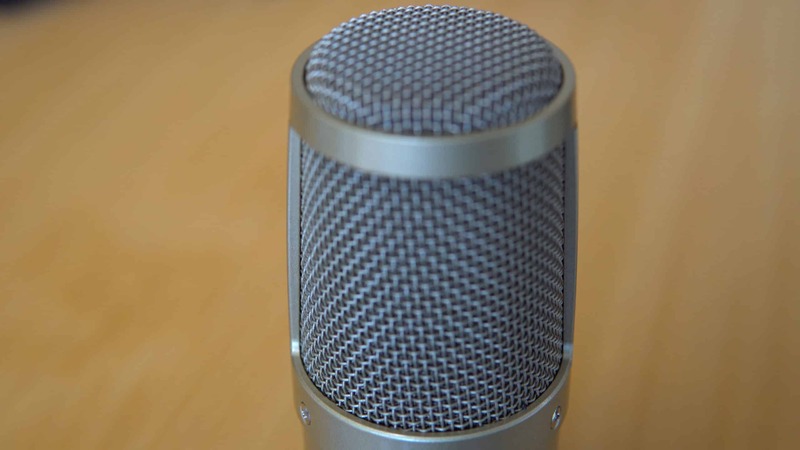 Any mic is a far better alternative to webcam or internal microphone for podcasting. I have to say that there is so much technical misinformation in this piece that I found it hard to read. Biggest offense is that transducer type (dynamic vs condenser) has nothing to do with pick up pattern (rejection of room reflections). You can find dynamics and condensers in all pick up patterns. The real question should not be what is the best “podcasting mic” but what is the best “ mic for recording voice”. 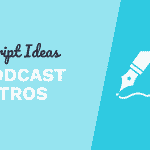 Since podcasts are just voice recordings. I agree that you should stay away from USB mics butbthat just puts you in the regular vocal microphone market. What about the Sure SM 58? About 100 bucks and the music industry standard for 40 years! Thank you for your comment Michael, whilst I see your point (about the part “for recording voice” vs “podcast”) I don’t agree. There is a huge difference in recording a voice for a show vs voice for a voice over. Both mic technique as well as recording set up and room are more often then not massively different. 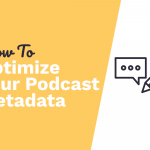 Podcasters deserve to have attention in separation from other “voice recordings”. Same goes for professional radio recordings. Again they are voice recordings but done with a very different set up and most importantly usually done in a studio vs room in a house or office. 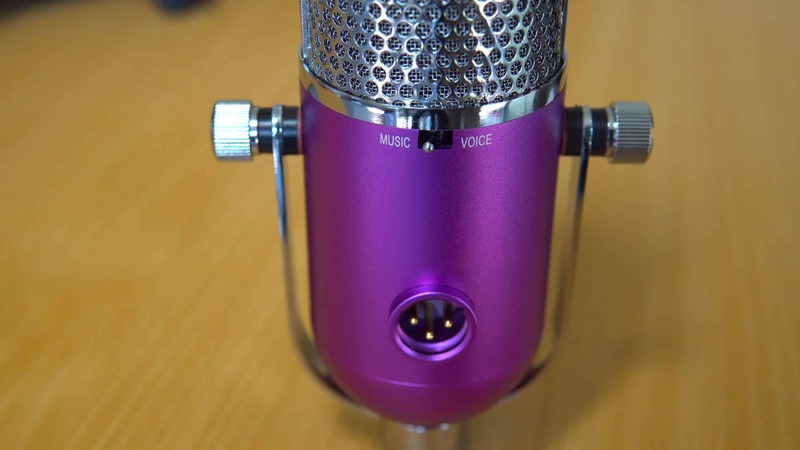 We are also going to be looking to add Sure Mics to this review – great suggestion! Thanks for putting this info our there, Michael. 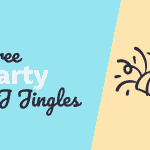 Pick up patterns are indeed different to condenser vs. dynamic e.g. hypercardiod condenser is possible as is hypercardioid dynamic. I’d imagine the latter would be less sensitive to room and background noise. I’ve not tested Shure yet. I use a Shure SM7B, but my next mic will be a Neumann TLM 103. I think it sounds the best in this price range. Thanks Attila, glad you like the TLM 103. How’s the room/echo rejection from a Shure SM7B? Thank you and glad you found it useful! Thanks, as always, for the great feedback piitciia. See you on the live stream! … and I thank you, because you did a great job and effort in this comparisons and how you are presenting the results. 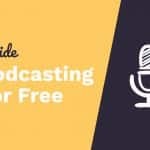 This is the most comprehensive list I have seen on Podcasting mics, complete with audio tests. Simply fantastic! The Neumann tlm103 is by far my favorite of this bunch. It is extreamly versatile and sees use on just about everything in my studio. It is a great microphone Jason, if you haver a good room for it – it’s a no brainer choice for sure! Thanks Jason and great to hear your thoughts on the TLM 103. Great info Mike!!! I’ve used the Blue Yeti and agree with your assessment 100%. I’m planning an upgrade in the near future and plan to refer to this post again before making a final decision. Thanks for all that you and Isabella do! Thanks Mike. The Blue Yeti microphones are certainly so versatile and the best all in one package for sure. What a wonderfull work! So usefull! I’ve got an Audio Technica AT2020, and I really like it. I really good price point too. Sounds like a microphone worth testing, Bob! I’ve been looking for a new mic for years and a lot of people suggested that I get a blue yetti, but since I live next to a very busy intersection I got an AT2020 USB mic with a pop filter. Great, thanks for the feedback on the AT2020. Adding a noise gate would also help with road noise. You could do it in real time with a dbx 286s. I also own the blue yeti, does what I need it to at an affordable price when on sale. Glad you like the mic tests! Not one I hear about often – thanks! I really like the isolation and noise cancelling of the SE V7 but would love to get my hands on any Heil mic. I’m also impressed with the value of the X1 S studio bundle too!!! Keep up the great work Mike!! I was expecting to see at the end of the video installation with one word/phrase in turn from different microphones.) This would be convenient for comparison. But without it – good job! Most wanted for me is Audio-Technica AT4033a. Suitable for me amplitude of sound, nice device look. Ive used Audio Technica for years, specifically an Audio Technica AT2005USB model which while old is still kicking plus I love it for Karaoke. That AT4033a looks and sounds better, no slight pop like mine and looks so pro! I have really enjoyed the experience with my Blue Yeti microphone over the past year. It’s great for a beginner because of the easy to use and simple controls. Although it is a bit expensive, it is very crisp and clear in sound. Se2200 sounds great. But neuman is my choice. Thank You for having amazing contest like this one, and good luck to all the contestants!! I like the flexibility of the Yeti. We will see what the budget will allow for. Keep up the great work! Great post! Very useful info. One of the microphones I like the most is M-Audio Uber Mic. First of all – good price. Awesome value for money! Other features I really like Multi-pattern, Zero-latency monitoring, Stereo mode and three regular mono polar patterns. I liked the hell pr 30. 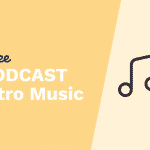 I got to test it out at Podcast Movement 18 and thought it sounded great for me! It is a really decent mic Taylor! Great video! I am a fan of Heil Sound and I like the PR-30. Personally my go to mike is my Rode NT1-A. I’m surprised you didn’t include the Shure SM7B. At any rate, my favorite of the group tested is the Neumann. Love that you tested in different acoustic settings. Very helpful. It’s so good to hear it sound tested. I currently have a mike that I have to put inside a box with towels inside to stop the noise (live in the city) so I’d go for the sE Electronics V7 for sure. It did really well for the price you pay for sure! We were very positively surprised! I love the Blue Yeti Pro. I love the fact it got both the USB and XLR connection. And the sound quality is perfect. I guess this microphone is a no-brainer if you want to record a podcast. Any reason you didn’t use ge Rhode NT1a? I’ve really enjoyed the quality of it and he super low noise floor. On our list to add here Bryan! I’ve been using the ATR2100, but all the press about the Heil PR40 is giving me serious mic envy. Maybe someday I’ll get over the price difference enough to make the switch.